Covering the greater Minneapolis – St. Paul Area. Read & Leave Real Reviews! St. Paul, Minnesota chiropractor Dr. Chris Lilja at St. Paul St. Paul Chiropractic & Natural Medicine Center is your trusted choice for chiropractors in the Twin Cities area since 2000! Our team specializes in chiropractic care, clinical nutrition, weight-loss, massage therapy, exercise instruction/rehab and natural medicine. We are committed to providing pain relief for many symptoms and conditions so you can have a higher quality of life with optimal natural health. St. Paul Chiropractic & Natural Medicine Center is currently accepting new patients and can take most insurance plans. We are committed to meeting you were you are and making a health and financial investment plan that makes sense for you. We are ready to meet with you to do a quality and comprehensive initial consultation to best understand your health goals and needs. Our mission is to help educate people on natural health. So many injuries and conditions can be treated naturally. 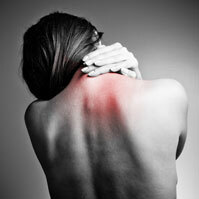 We specialize in working with our patients have put together a small list of the most common ailments we treat. This is not an exhaustive list of what we are capable of handling. The goal of chiropractic care and adjustments is to correct the spinal subluxations, sometimes referred to as misaligned vertebras that are detected during the examination. A doctor of chiropractic performs an adjustment by applying gentle pressure to the vertebrae and unlocking it from it’s improper position. The bone will then be free to align itself correctly. Our clinic has a passion for helping our patients achieve optimal health. Weight management is a huge part of an individual’s overall health and wellness. There are so many reasons and factors that affect why someone may not be able to lose or maintain a healthy weight. However, if it is your goal to lose weight and keep it off, then we can help! 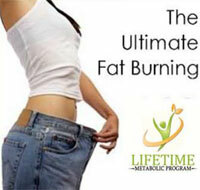 We meet so many clients that have tried just about every weight loss program. Losing weight is not a “one size fits all” process. At St. Paul Chiropractic & Natural Medicine Center we realize that every patient is different, and we work hard to make sure you achieve the results you’re looking for. We work one-on-one with you to modify the program to best suit you and your body’s needs. Massage therapy works with an individual’s soft tissue including muscle and connective tissue to improve circulation, range of motion, tissue healing, and function while reducing muscle tightness, spasms, pain and promoting well being. Massage involves manipulating the body with pressure, motion and vibration from the therapist hands, elbows or a use of a massage modality. Massage works very well when combined with chiropractic care. We often times hear from our patients, that the first thing they notice when they get into our clinic are the nutritional supplements, health, wellness and personal care products readily available to them. We provide specific recommendations on nutritional supplements and healthy food choices to enhance our patient’s return to optimal health! Do you know which supplements and vitamins are good for you? We pride ourselves in having a comprehensive selection. Our doctors can provide a structured nutritional program based on your individual needs. St. Paul Chiropractic & Natural Medicine Center offers both in clinic and on-site events. We have developed a comprehensive on-site wellness solution for your organization, business, group, or event to help educate and promote optimal natural health and wellness! We are committed to giving back to the community through educational presentations, helping companies set up wellness programs, hosting information tables at wellness fairs and events, providing community screenings, and much more. We have a passion for natural health! Let us help you take a proactive approach to your health and wellness! We will work with you using a wide variety of diagnostic screenings, consultations, and preventative measures to develop a personalized care plan. We are committed to helping you keep your musculoskeletal system free from injury and pain. We empower you to live your life in healthy ways, thanks to nutritional counseling, and natural medicine. Our family chiropractic services are also available for therapeutic exercise, massage therapy, electrical muscle stimulation, and diagnostic screening. Work with St. Paul Chiropractic & Natural Medicine Center today! Start living a pain free life with the help of our integrated medicine doctors in Saint Paul, Minnesota. Contact our clinic today at 651-644-7207.